Today I am chatting with Dr. Michael Van, who’s a well know expert of Intermittent Fasting and is not only a great example of “practice what you preach” but also an author of the book ‘The Scientific Approach to Intermittent Fasting’. 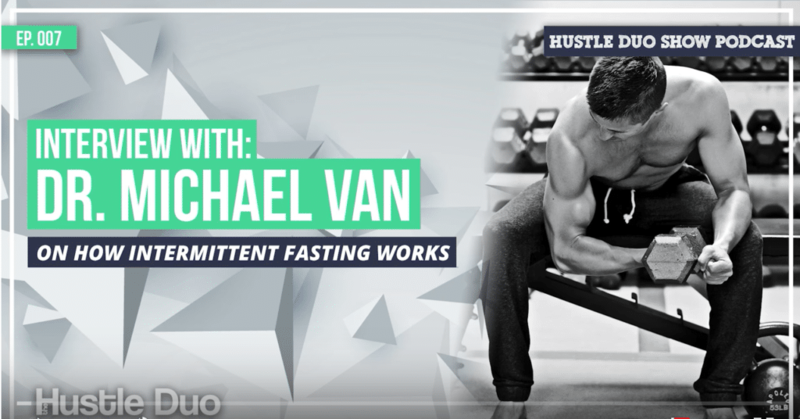 SHOWNOTES: hustleduo.com/dr-michael-van-how-intermittent-fasting-works In this episode we chat about: – How to start improving anything – body and/or mind – What is Intermittent Fasting and different types of it – What is Ketosis and how IF helps you get into it – What to eat during the eating window – Advice for beginners in IF So I hope you enjoy this episode, and if you do, don’t forget to subscribe for more! New episodes on body and mind growth – every Thursday.